The Sea to Summit Camp Mat Self Inflating Mat is a self-inflating camping mat for 3-season use. 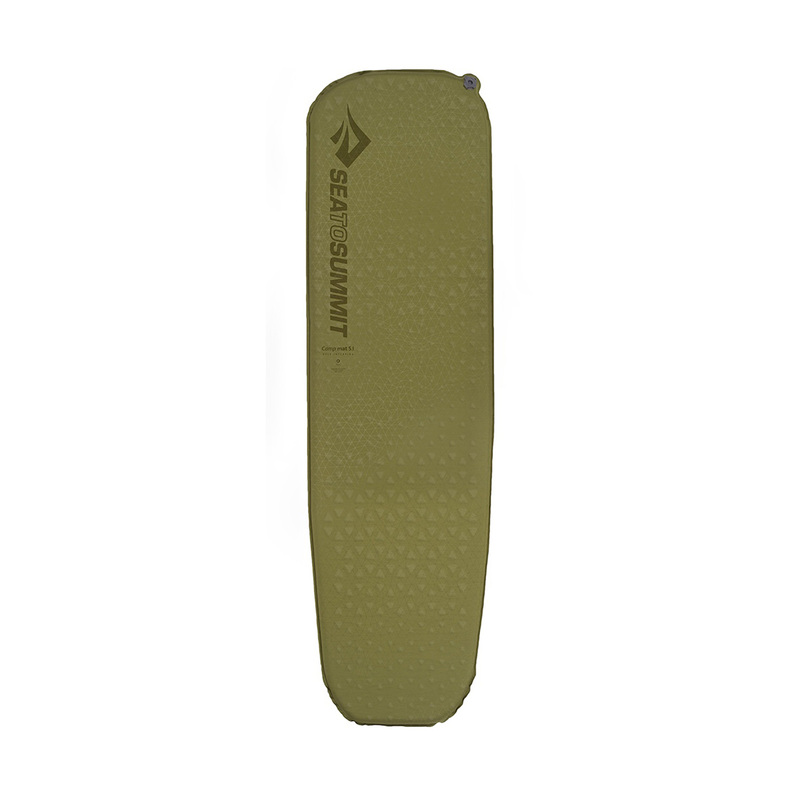 STS' Delta Core-V vertical coring removes unnecessary parts of the inner foam to reduce weight and increase pack size without affecting the mat's support and comfort. The 75-denier polyester top and bottom fabric is highly durable and resistant to abrasion.